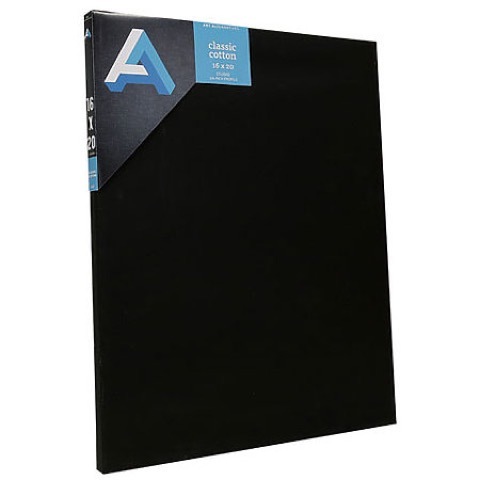 This all-purpose canvas is great for traditional painting techniques as well as mixed media, aerosol art, home decor and craft projects and is suitable for use with all acrylic paints, oil paints and other wet or dry media. The unbleached 5 oz. cotton duck is primed with acid-free black acrylic gesso to a finished weight of 8 oz. and stretched around and back-stapled to kiln-dried solid pine stretcher bars. Sizes with a dimension of 24" or longer are braced for additional support. Available with a 3/4" deep profile.